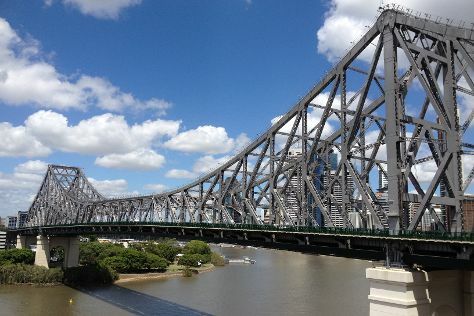 You've now added Story Bridge to your itinerary. For where to stay, other places to visit, maps, and tourist information, read our Brisbane trip planner. Auckland Central, New Zealand to Brisbane is an approximately 7-hour flight. You can also do a combination of flight and bus. Traveling from Auckland Central to Brisbane, you'll gain 2 hours due to the time zone difference. When traveling from Auckland Central in November, plan for somewhat warmer days and about the same nights in Brisbane: temperatures range from 31°C by day to 21°C at night. You will leave for Gold Coast on the 14th (Wed). You've now added Dreamworld to your itinerary. 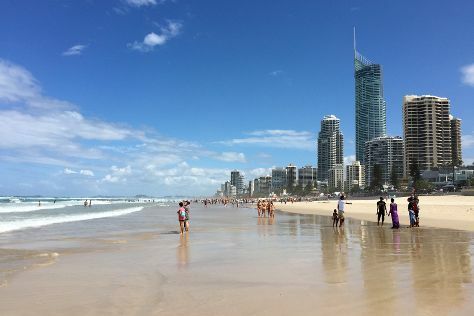 You'll enjoy a bit of beach vacationing at Surfer's Paradise Beach and Burleigh Heads Beach. Go for a jaunt from Gold Coast to Lamington National Park to see Gold Coast Hinterland Great Walk about 46 minutes away. To see more things to do, other places to visit, ratings, and other tourist information, go to the Gold Coast online journey maker . Getting from Brisbane to Gold Coast by car takes about an hour. Other options: take a bus; or take a train. In November, plan for daily highs up to 30°C, and evening lows to 20°C. On the 17th (Sat), you're off toBrisbane. Your day-by-day itinerary now includes Brisbane Botanic Gardens Mt. Coot-tha, Mount Coot-tha Lookout, City Botanic Gardens, and other attractions you added. Kick off your visit on the 17th (Sat): take in nature's colorful creations at City Botanic Gardens, contemplate in the serene atmosphere at Catholic Old St. Stephen's Church (chapel), admire the natural beauty at Brisbane Botanic Gardens Mt. Coot-tha, then get great views at Mount Coot-tha Lookout, and finally take in the spiritual surroundings of St. John's Anglican Cathedral. For reviews, photos, and tourist information, use the Brisbane trip itinerary builder tool . Traveling by car from Gold Coast to Brisbane takes an hour. Alternatively, you can take a bus; or take a train. Finish up your sightseeing early on the 18th (Sun) so you can go by car to Beerwah. Beerwah is a rural town and a locality in the hinterland of the Sunshine Coast Region, Queensland, Australia. Australia Zoo has been added to your itinerary. 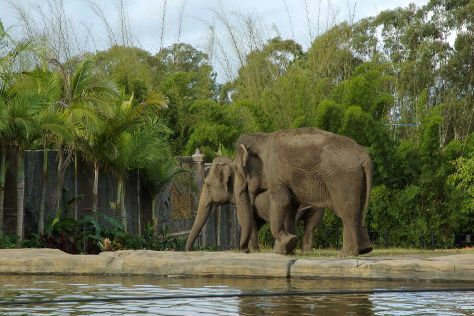 Start off your visit on the 18th (Sun): stroll through Australia Zoo. To see photos, maps, other places to visit, and tourist information, use the Beerwah trip planner. You can drive from Brisbane to Beerwah in an hour. Other options are to take a train; or take a bus. In November, daytime highs in Beerwah are 31°C, while nighttime lows are 21°C. Wrap up your sightseeing by early afternoon on the 18th (Sun) to allow enough time to travel to Lamington National Park. For where to stay, photos, more things to do, and more tourist information, read our Lamington National Park trip itinerary builder site . Drive from Beerwah to Lamington National Park in 3 hours. Expect a daytime high around 30°C in November, and nighttime lows around 20°C. You will leave for home on the 20th (Tue).